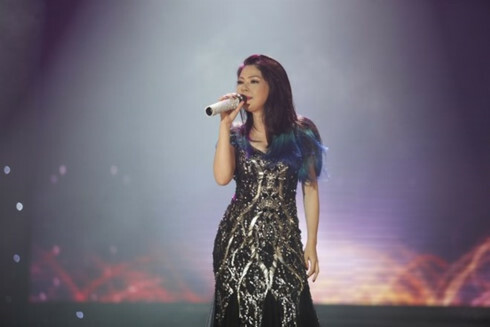 Pop star Thanh Thao will perform in California, the US, at a show for fans celebrating her 25-year career. Thao will sing with friends, including pop stars Lam Truong and Dan Truong and Vietnamese-American singers Manh Quynh and Duong Trieu Vu, who have both contributed to the country’s contemporary music. Highlights will include songs by musicians Phuong Uyen and Duc Tri, such as Bup Be Dep Xinh (Beautiful Doll), Co Don Minh Em (I’m Alone), Oi Tinh Yeu (Love) and Vi Ngot Doi Moi (Sweet Kiss). These songs were top hits of the year. Five years later, she challenged herself by opening Music Box, one of the city’s leading entertainment agencies. Her concert will open on March 10 at the City National Grove of Anaheim concert hall in Anaheim, California.